I do not seek to harm Israel now. Vanunu Faces New Prison Term - Will They Bury Him? If an Iraqi nuclear technician in the last decade had come forward to reveal previously unknown information about a secret Iraqi nuclear arsenal, that person would be hailed as a courageous hero. Mordechai Vanunu's act was courageous and heroic. Now we see that Iraq's nuclear threat was never rebuilt, Libya has publicly abandoned nuclear ambitions, and Iran has opened up to nuclear inspections. The head of the International Atomic Energy Agency, Mohamed ElBaradei, has recently urged Israel to dismantle its nuclear weapons program. "Well you can put there my thanks greeting to all those who wrote. 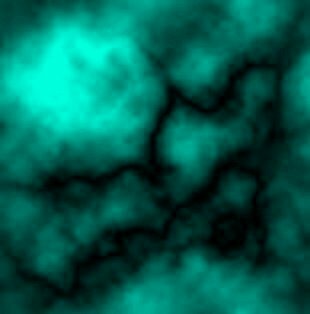 If they want to receive my letters they can write me." PLEASE DONATE NOW TO HELP MORDECHAI REBUILD HIS LIFE. On this momentous day, Mordechai Vanunu walked out of the prison that had confined him for nearly 18 years. But he isn't free yet. Upon his release from prison, Israel immediately forbid Vanunu to leave the country, and imposed other severe restrictions on him. 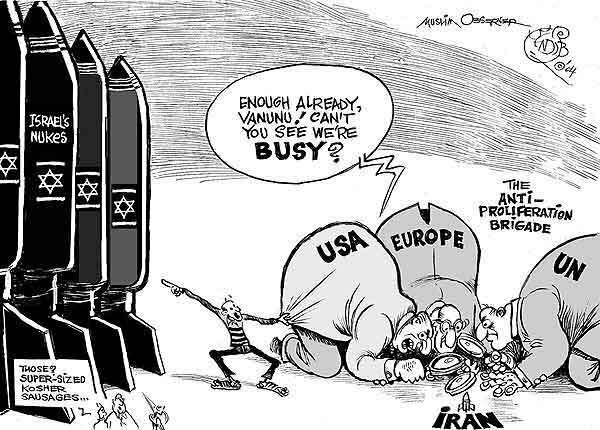 The Israeli government claims Vanunu plans to tell even more state secrets. But this is absurd. Mordechai Vanunu was locked away from the world for almost 18 years, after telling everything he knew to the London Sunday Times back in 1986. He has no more secrets to reveal and is not a threat to the security of the state of Israel. On March 17, 2005, Israeli authorities served a 22 count indictment on Mordechai Vanunu for violating his restrictions, principally for his interviews with foreign media. Vanunu asserts, "These restrictions can't be honored because they violate human rights." 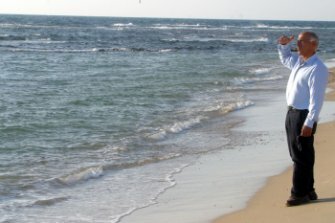 Now, on April 12, Vanunu learned that his restrictions have been renewed, and unless they're lifted he won't be able to leave Israel until at least April 2006. Considering that his restrictions have been renewed, and that if convicted of the new charges he faces 3 more years in prison - and because he wants to leave Israel so he can rebuild his life - we continue to work for his full freedom. We need your help NOW to apply maximum pressure and demand that they unconditionally release Mordechai Vanunu! he is an Israeli hero. 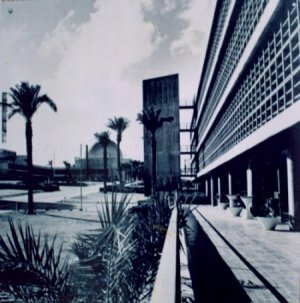 Is Dimona's Reactor Suffering From Old Age? 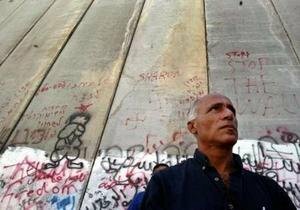 Israeli nuclear whistleblower Mordechai Vanunu, who was freed from prison in April, 2004 stands in front of the separation wall during a protest against the controversial Israeli security barrier in East Jerusalem August 27, 2004. The U.S. Campaign congratulates Mordechai Vanunu on his nomination (again) for the Nobel Peace Prize. "I Saw Myself as Free"
new Rector of Glasgow University! 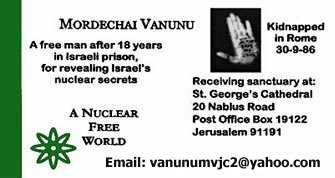 To send books, CDs, etc., to Mordechai Vanunu, you may send them to him c/o the postal address below. Mordechai prefers, however, to receive email! last updated April 12 2005.